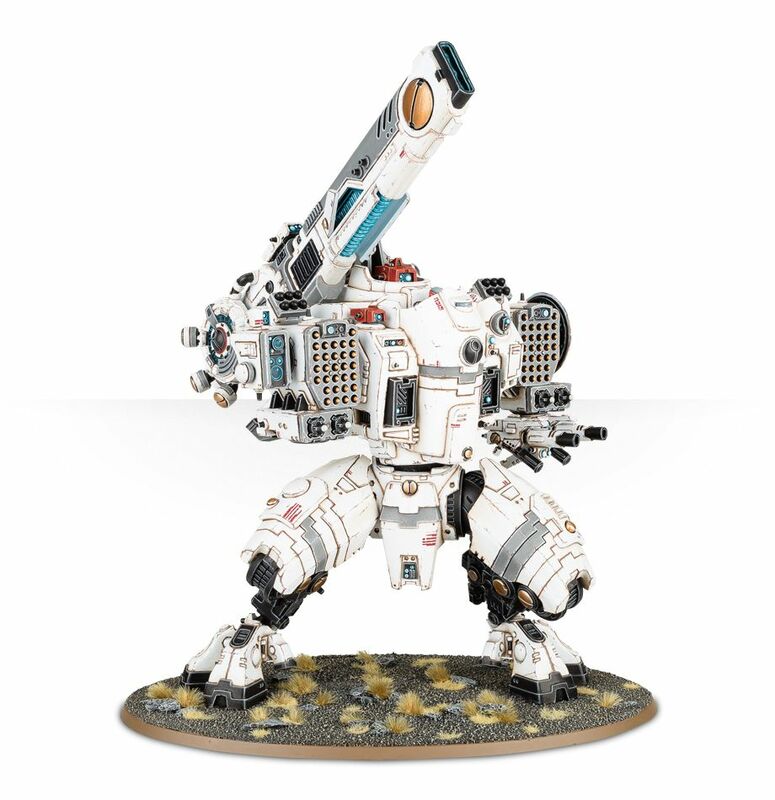 Check Out The KV128 Stormsurge, The Tau Empire’s Titan-killer! 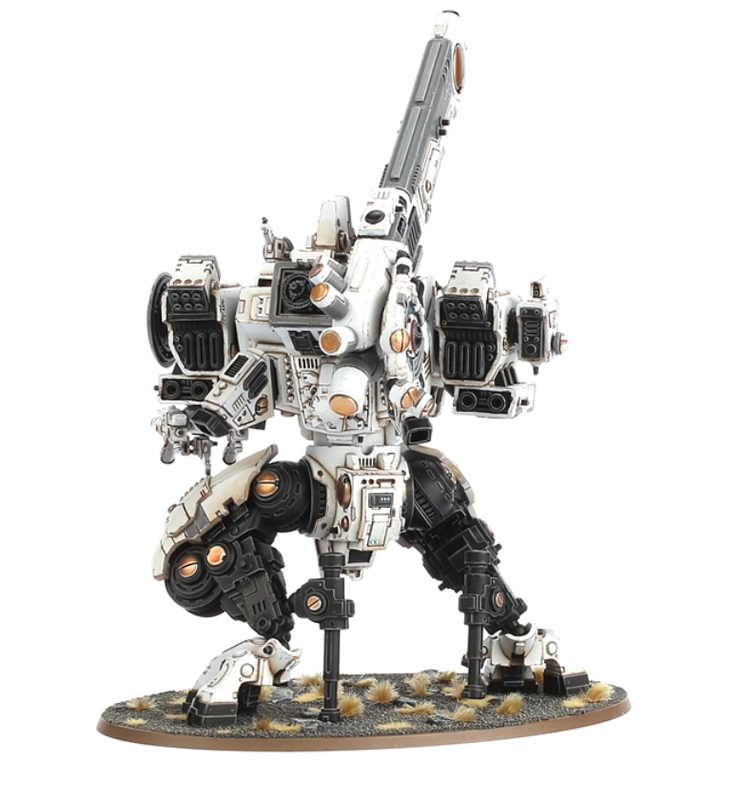 The Tau take center stage this week with the release of the amazing KV128 Stormsurge! 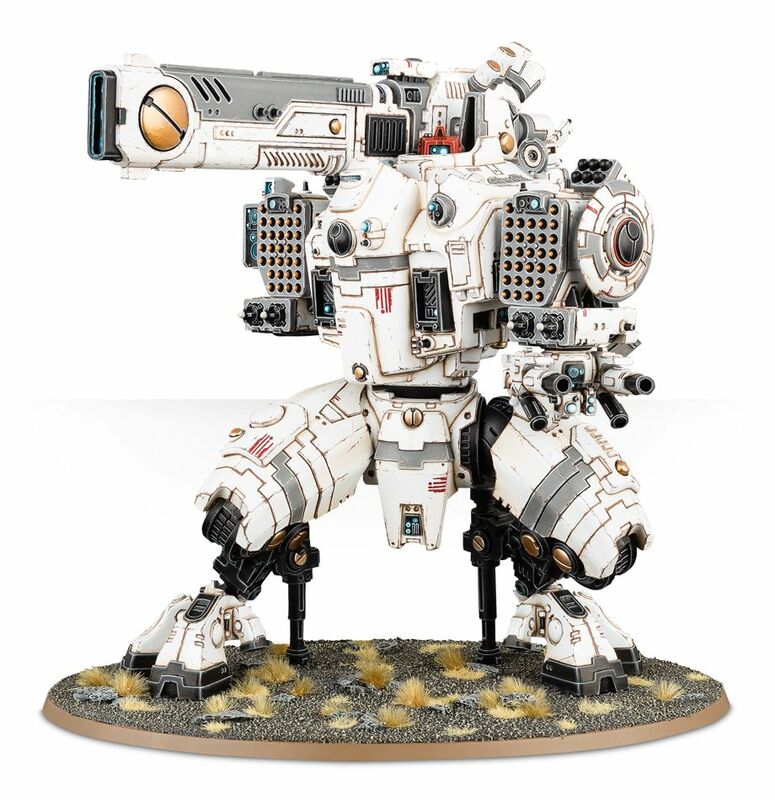 The Stormsurge is the Tau’s answer to enemy Titan units. 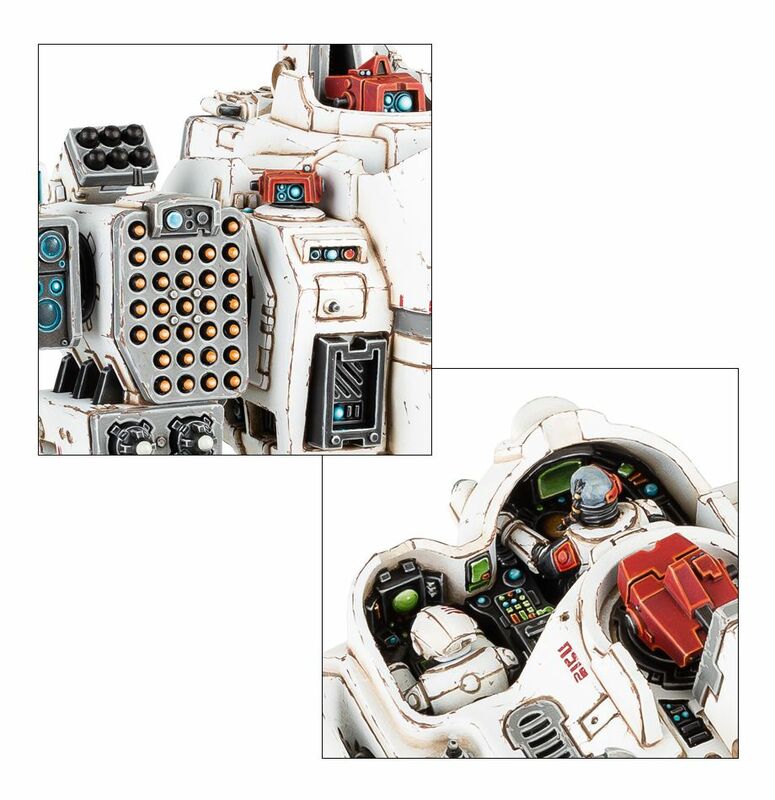 It boasts powerful heavy weapons, but does sacrifice some maneuverability for its deadly payload. Check out the video below for a closer look at the KV128 Stromsurge. The kit has 171 components and offers a few different assembly options. 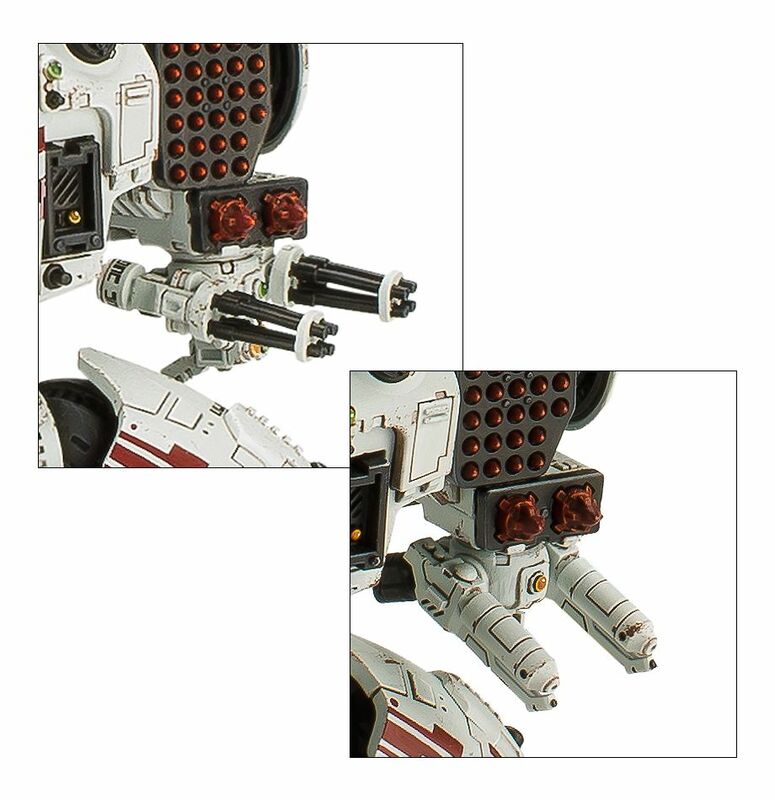 There are 2 pilot assemblies, 4 head options and some of the vents and assemblies can be left open. It comes with a Citadel 170mm Oval base. The kit will set you back a whopping £90 and can be ordered here. 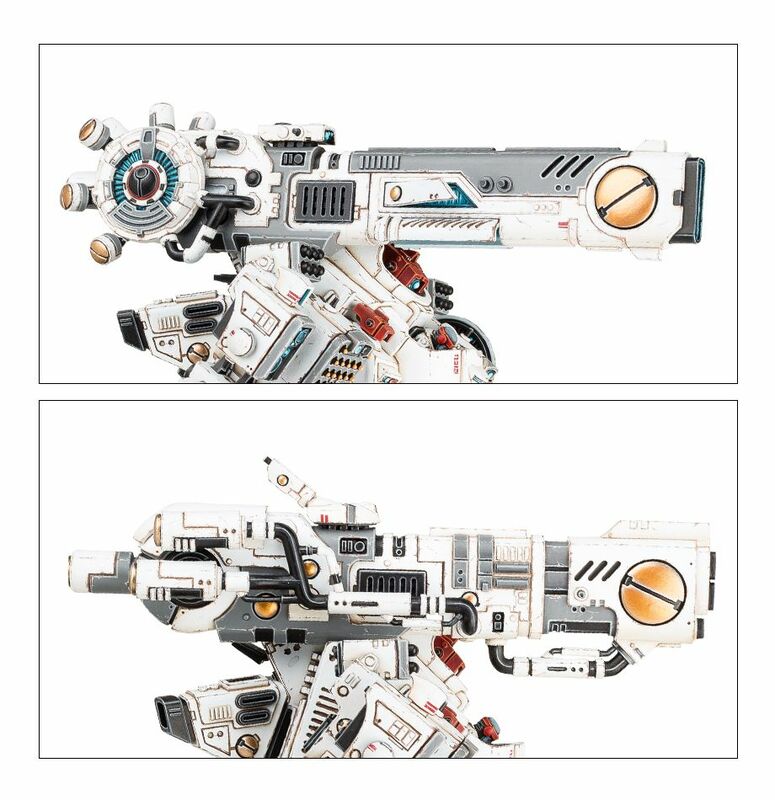 In short its guns have guns, but I really like the look of the kit. 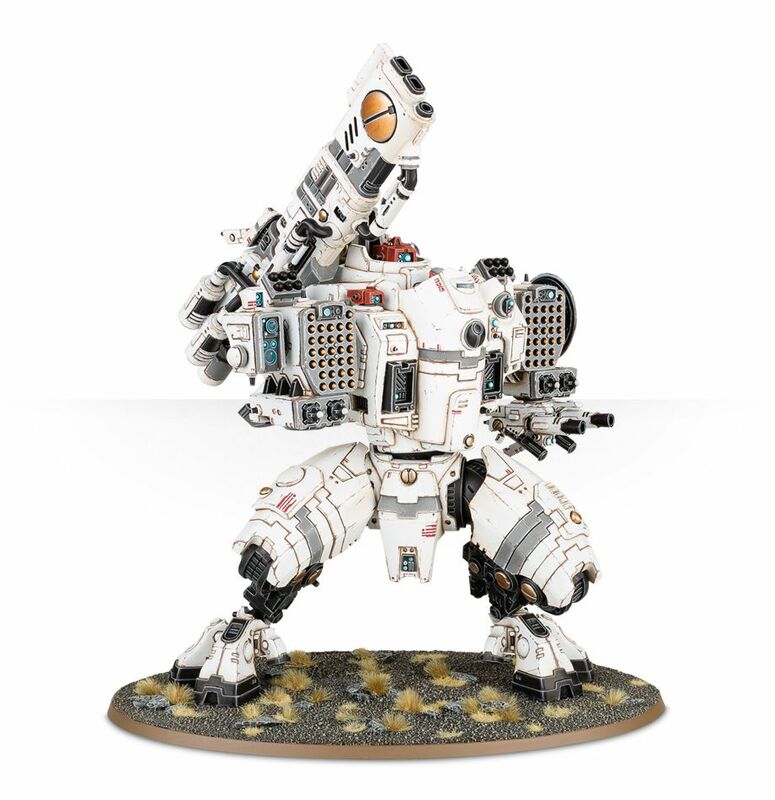 I’m glad they moved away from the typical battlesuit look. Check out all the images below.